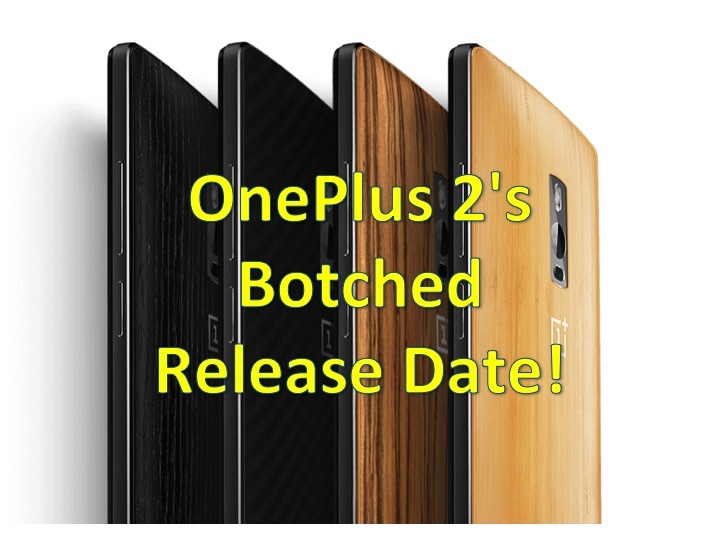 OnePlus 2’s Botched Release Date! You are at:Home»COLUMN»OnePlus 2’s Botched Release Date! Today, around the world the OnePlus 2 goes on sale – that is if you have received an invite. We wrote about how to obtain an invitation last week, and it seems that even if you have an invitation, you aren’t guaranteed to receive your phone. UPDATE: OnePlus has provided more transparency when it comes to their invitation system, broken down into 4 tiers. Priority is given to the events held by OnePlus, such as WWYDFT2 (an online contest, already over), then to early supporters of the OnePlus One and active individuals on the OnePlus One forum. Last on the list are the individuals on the reservation list, already reaching over 3.9 million. One week after launch date, less than 9,000 invitations have been given out. Further delay of “invites” will happen to regions outside of the United States and Canada. OnePlus sites issues with production, primarily the touted USB-C port and the OS (OxygenOS) is being tweaked as well. Why not release invites and provide OTA updates? OnePlus attributes their affordable smartphone to highly reviewed phones and word of mouth. Unfortunately, with no one receiving these devices with the exception of reviewers – the only word of mouth OnePlus 2 users will be talking about is the upcoming release of the Moto X Pure Edition, less than 3 weeks away. The “launch” now appears to be more of beta testing to work out the kinks of the device – as oppose to a proper launch for a flagship killer. With the invitation sitting at over 3.5 million people, being one of the first to get this device involved lots of “sharing” and quite sad that OnePlus couldn’t deliver to their most faithful customers in the US and Canada. 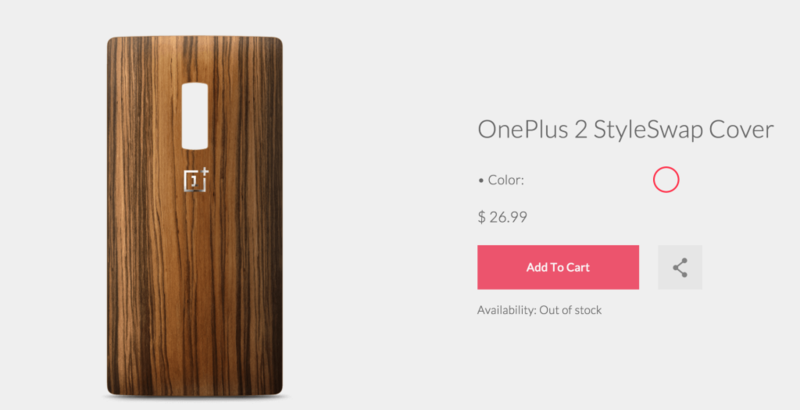 OnePlus also gives you the promise to make your device yours with interchangeable back plates (called StyleSwap Cover) – all of which are sold out, no Black Apricot, Kevlar, Rosewood or Bamboo cover for you. We have also confirmed with many OnePlus fans who haven’t received their invitation yet who are in the 8,000 range. This is quite disturbing considering that this is the first day of the OnePlus 2 availability. It is understanding that OnePlus wants to drum up media attention for their devices, which are greatly priced – we will remain fans of the original OnePlus. However, OnePlus seemed to have dropped the ball with their “production schedule”, beefing up inventory for the first week of release and appeasing their biggest fans. Seriously OnePlus? You should have at least given invitations for the first 50,000 on your list. What is your OnePlus Invite number? Are you still waiting for thinking about the Moto X Pure Edition? Tweet us @AsianGeekSquad.